SHE DEVIL was first conceived in our brew kettle in 2014 to show craft beer drinkers the tasteful smooth, bold flavor of Belgian Beer Style. SHE DEVIL is a strong Belgian Blonde Ale and at 9% ABV, she is bigger than average beers and she will keep the wheels on the bus going around and around. 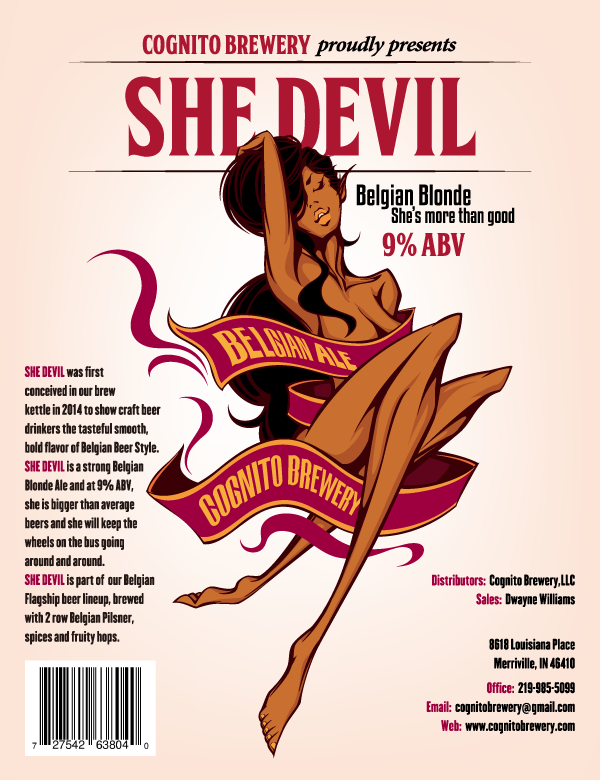 SHE DEVIL is part of our Belgian Flagship beer lineup, brewed with 2 row Belgian Pilsner, spices and fruity hops.